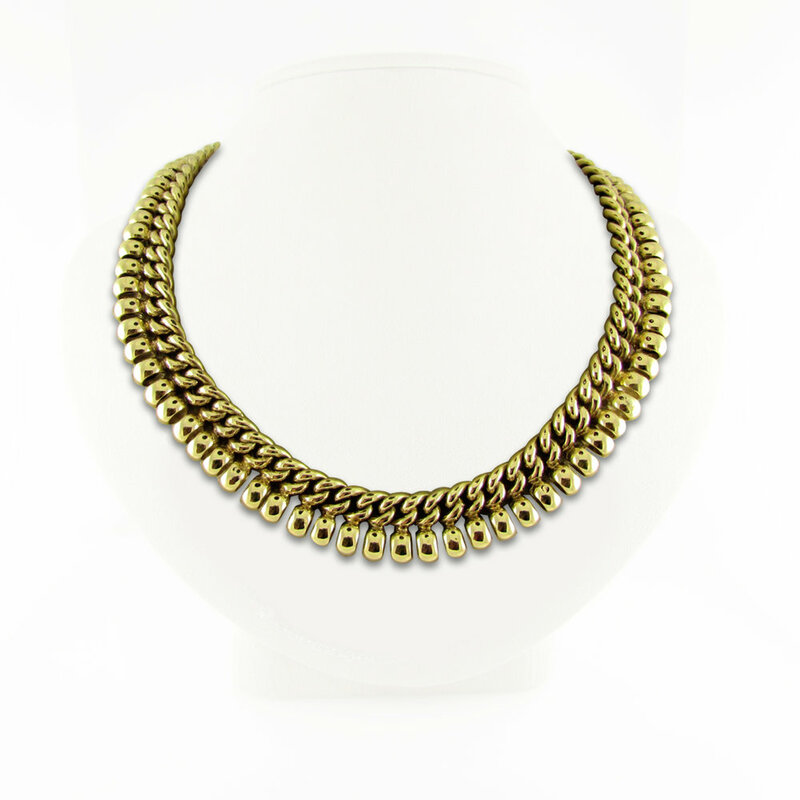 14KT yellow gold necklace with interlocking links. 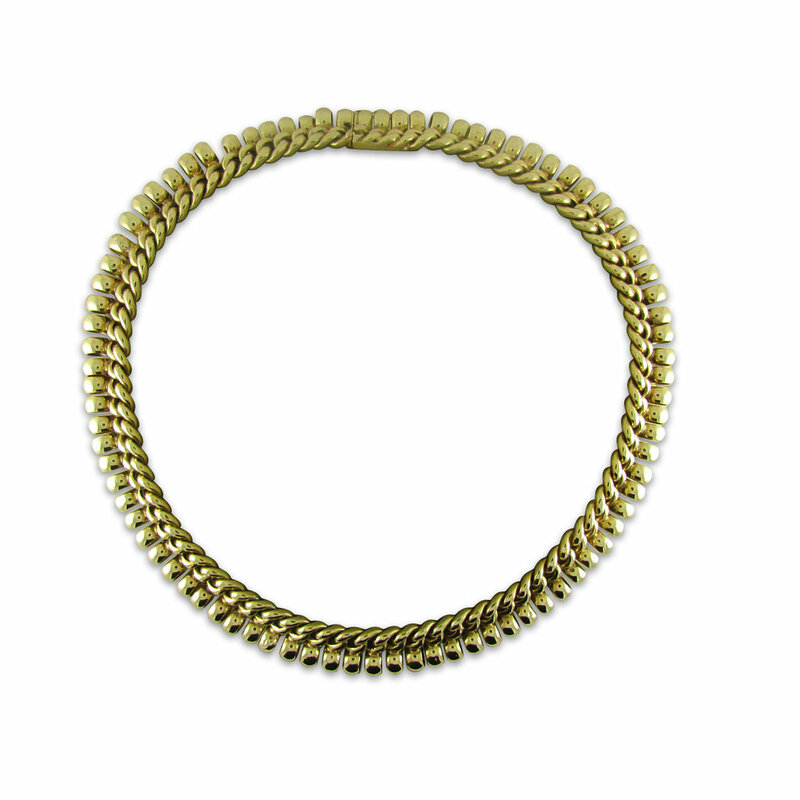 Each link has a ring detail at its tip. 15 1/2” long. 51.7grams.